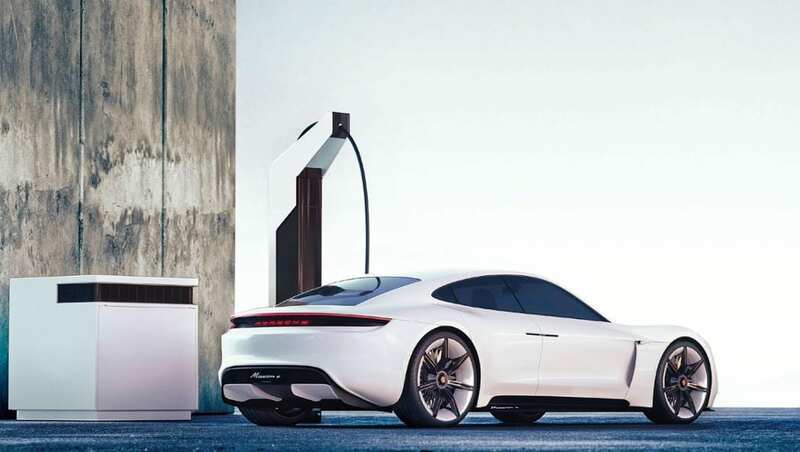 Ever since the concept unveiling of the Porsche Taycan in 2015 (then known as the Mission E), Porsche has been making headlines with their intention of entering the electric car market. They’ve made what many believe to be extravagant statements regarding their first electric car but have continued on with development. Some have called the Taycan a potential Tesla killer, while others remain skeptical. With a traditional and race driven fan base, the announcement of an electric car caused a stir. Scheduled to go into production in 2019, the Taycan is right around the corner. But we’ve been hearing about it since its concept, the Mission E, was revealed at the 2015 Frankfurt Motor Show in Germany. With its generous specs, even back then the Mission E, now known as the Taycan, made headlines. With a 440 kW output, 0 to 60 mph in 3.5 seconds, over 310 miles of range (500 km), and a 15 minute charge time, the Mission E was dubbed the “Tesla Killer”. With specs like that, they rightfully deserved the title. It also boasted some quirks like inductive charging, a holographic display, gesture control, and the coolest doors we’ve ever seen which opened up the entire cabin. It even won the Concept Car Design of the Year Award at the 2016 Geneva International Motor Show. There was one problem, it was just a concept with no stated plans for production. It marked a steppingstone in Porsche’s history as they publicly considered an all-electric future as plausible. Just a few months later, it was confirmed for production. The company would invest $700 million to bring this beauty to fruition. Porsche started by brining a $700 million investment that would go towards putting the Mission E into production, but things quickly changed. The following year they doubled their investment to €1 billion ($1.135 billion), which seemed to show their dedication towards electric vehicles. Part of that investment would be towards 800-volt charging technology and infrastructure. Porsche estimated their annual demand at 20,000 units per year but as time went on, so did the number. Porsche now estimates an astonishing 60,000 sales per year between the Mission E and a new all-electric car based on the Macan by the time the electric Macan is rumored to be released in 2022. For the time being, Porsche is preparing to an annual production of 20,000-30,000 between the Taycan and Cross Turismo. To put that into perspective, the Porsche Panamera only sold 6,731 units in 2017 and the Tesla Model S did 52,635. The Macan is currently Porsche’s bestselling car at upwards of 100,000 units per year. Porsche hasn’t always been so open to electric cars but things quickly changed as we progressed. They now state that they’re expecting 75% of their sales to be for electric cars by 2025. 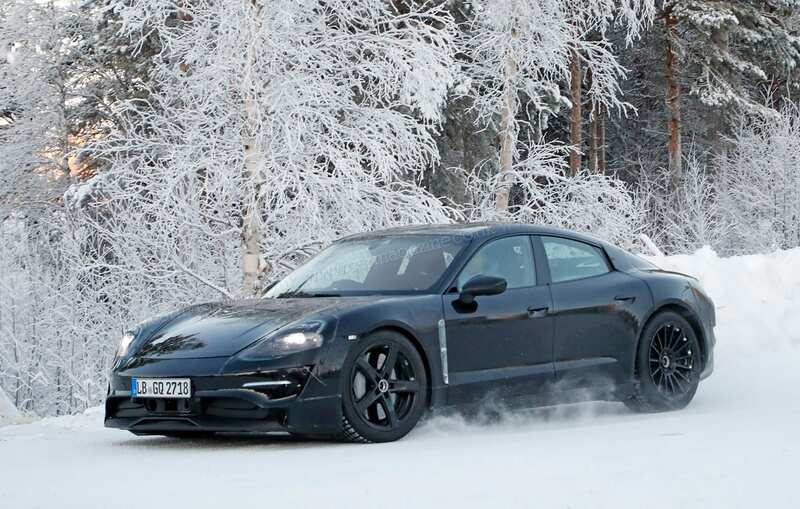 Fully electric variants of the Boxster, Cayenne, and Panamera will follow and be made available between 2022 and 2025. By 2027, all Porsche models, excluding the 911, will be electrified. Porsche is set to spend $7.43 billion on the development of plug in hybrids and fully electric cars by 2022. 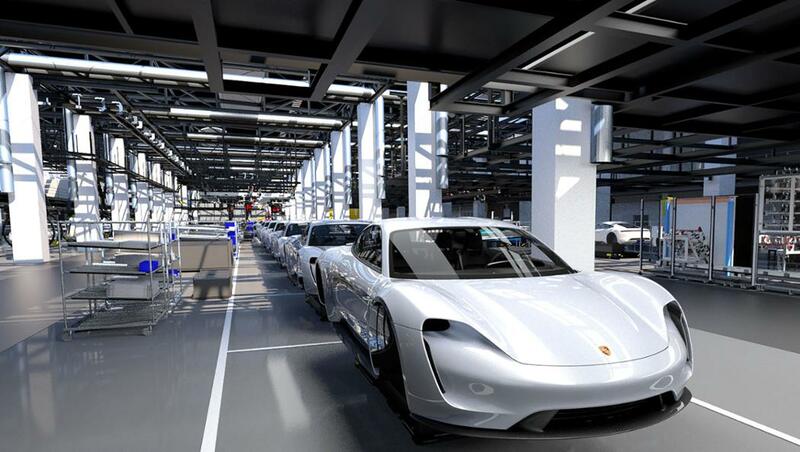 The Mission E will be manufactured in Porsche’s Zuffenhausen factory. 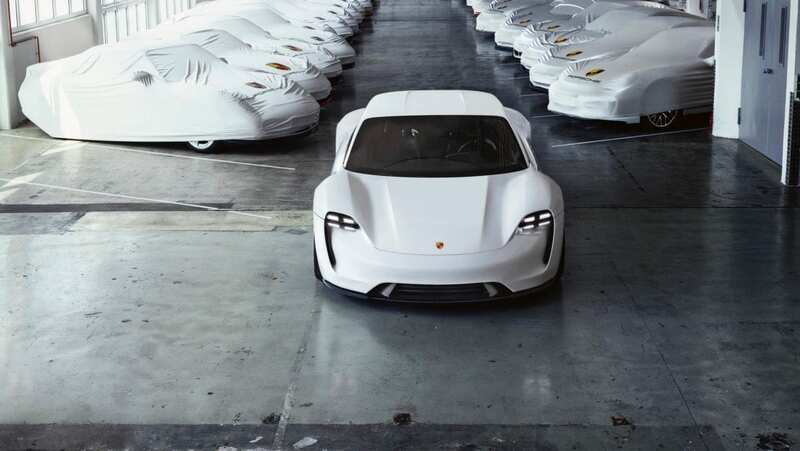 The factory is currently run at full capacity so Porsche will use a large portion of their €1 billion ($1.135) investment to bring the Mission E to market on expansion. The remaining balance of the full $7.43 billion will be used on technology, electrification of their current lineup, infrastructure, expansion, and Mission E variants. 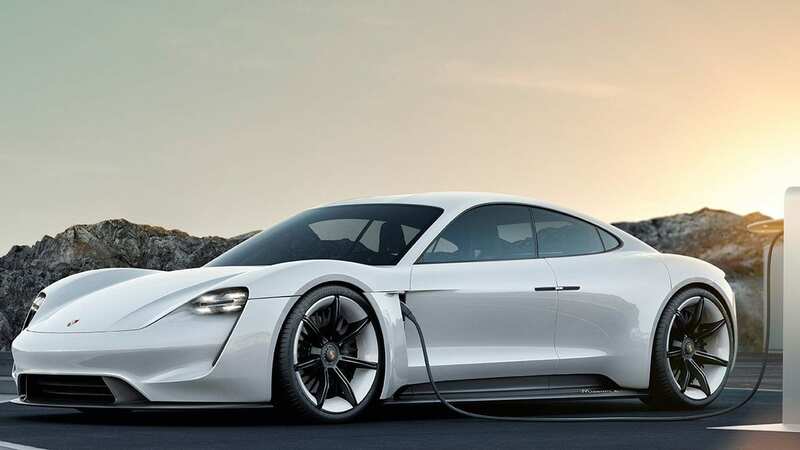 An important note is that Porsche is owned by the Volkswagen Group who has pledged to introduce more than 30 new models and to produce 3 million all-electric cars a year by 2025 across all of its brands. The platform that the Taycan rides on is known as the J1. Currently the J1 platform holds 3 cars in its future. 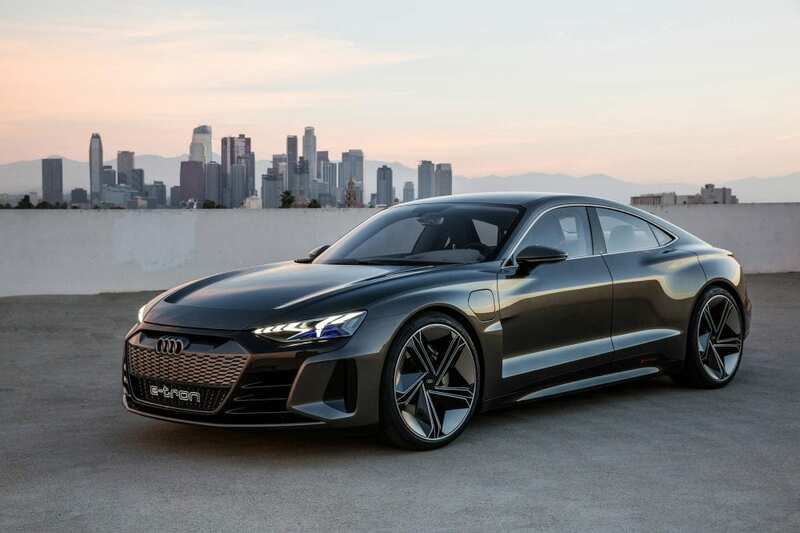 The Taycan, Mission E Cross Turismo, and the newly announced 2020 Audi E-Tron GT. Another platform called the PPE (Premium Platform Electric) is being jointly developed by Porsche and Audi and is focused on electrification, digitization, and autonomous driving. This platform will no doubt be used by Audi and Porsche as they try to be economical as possible during this expensive transition into electric cars. The Mission E Cross Turismo is a Mission E variant that rides on the same J1 platform. It was revealed earlier this year as a fully electric sport crossover. The car is set to have 600 hp, 0-60 in under 3.5 seconds, a 310 mile range, and a 15 minute charge time, all pretty similar to the regular Taycan. With all wheel drive, electrohydraulic Dynamic Chassis Control, and a spacious interior, Porsche is calling this a multipurpose vehicle. Apart from that, it is extremely similar to the original Mission E concept. It also shares many goals as the production version of the Mission E, the Porsche Taycan. A few months after the concept was unveiled, the Mission E got the green light for production. It wasn’t until a few years later that we finally received a production name, the Taycan, pronounced tie-con. Many loved the name, while others preferred the Mission E moniker. Its estimated specs and initial goals all remained the same. Rumor has it that the production version will differ slightly from the concept. It will be a 5-seater instead of the 4-seater shown in 2015. It will also not come with the fancy doors. Sadly, the doors shown on concepts tend to never make it to production as the b-pillar is very important during roll-over testing. There’s sure to be some more changes, we just don’t know them yet. If I were a betting man I’d say the interior will look nothing like the concept. We’ll just have to patiently wait for the production version to be revealed hopefully later this coming year. The Porsche Taycan is set to come with three different battery options and three different performance levels with a base price of just $75,000. That puts it in a very competitive area even against other Porsches. Its speed and power is impressive but nothing we haven’t already seen from Tesla. What’s interesting is that Porsche actually wants it to maintain this power throughout the charge and not drastically affect range or overheat while doing so. They Taycan will also come equipped with 350 kW charging capabilities and use a standard CCS plug. That should give you an 80% charge in just 15 minutes making it the fastest charging car on launch. For reference, a Tesla currently takes around 45 minutes at 120 kW. What’s interesting here is the range. Porsche initially stated 310 miles and due to them being in Germany, everyone assumed this would be based on the NEDC cycle. EPA and WLTP, the other two cycles, tend to be closer to real world range and those sit around 20% lower than NEDC. Porsche stated earlier this year that they were shooting for 300 real world range. The Audi E-Tron GT was recently announced with a 248 mile WLTP range. The E-Tron GT shares the same motors and batteries, according to by buddy Denis (editor note: it only makes sense that they would share powertrains, but of course I am speculating). So we really don’t have a clear understanding on where the real world range of the Taycan will stand but keep in mind it will have three different battery options. Who’s to say the 248 mile WLTP range shown on the Audi E-Tron GT was from their largest battery pack. Porsche has also claimed the Taycan could possibly have level 4 autonomy. Tesla currently sits in between level 2 and 3 but claims to have hardware capability on all cars for level 5 through an over the air software update. There has been over 200 test models built for all sorts of weather and drive. Paid reservations have opened in certain countries surpassing expectations. When Porsche unveiled the Mission E concept people were awed at the charge rate just as much as its specs and design. With 350 kW charging, it blew away all other electric cars. Since then we’ve seen plans from many others to introduce 350 kW charging but Porsche will be the first to be able to consume at that rate. Porsche is looking to install 800-volt charging systems spread across the globe and their dealer network. These chargers will be pay-per-use and will be able to be used by non-Porsche owners provided they have the correct port/adapter. While everyone is looking to improve charging, no car today can handle a 350 kW charge. Tesla is at the top currently by far with 450 V-140 kW but a maximum charge at 120 kW and the Audi e-tron will soon claim the crown with 150 kW charging. Porsche is helping us build our future before we even get there. 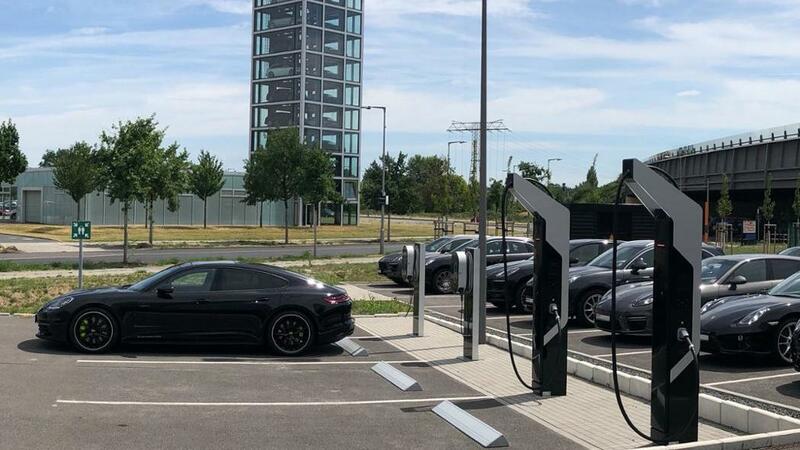 While the Taycan is not scheduled to hit the streets for another year, Porsche has already begun installing their stations in Germany and the US. There are currently 500 stations scheduled in the US with Porsche is requesting that Franchisees purchase another 200 to install at their dealers. Porsche is actively looking to make a deal with one of the many electric infrastructure companies for expansion. The initial stations should be done in time for the Porsche Taycan release. Unlike the Supercharger network, this will be a for profit venture rather than a courtesy and selling point to customers. Throughout this entire process, Porsche has been compared to Tesla almost daily. Some going as far to call it the “Tesla Killer” and state how it will outsell them in every category. We don’t have any actual data since you know, the car’s not out yet, but their specs and ambition seem to be bringing Tesla some tough competition. On paper, Teslas currently go faster and further but that’s not what Porsche is shooting for here. Tesla’s are not track-oriented cars meanwhile Porsche has racing history in their blood. Porsche doesn’t need to go faster and further if they can have superior handling and maintain high speeds for longer while not using excess energy. Both Porsche and Tesla are still very similar. Both have three battery and performance options, over the air software updates, three pricing tiers that will follow each other closely, their own charging networks, autonomous features, and each have their own die-hard fan bases. But Porsche deserves more credit than that. Currently a Tesla Model S has 7 options with 5 colors while the Porsche Panamera Hybrid has over 200 options (I stopped counting) with 16 colors and the option for a custom one. While I’m positive the average price of a Taycan will surpass that of a Model S, they each cater to a very different customer. Porsche looks to sell a very luxurious track car, Tesla aims for supplying you with the top of the line technology and a great community experience. “If you look at what Tesla has done, if you look at their volume and look at their price level, it’s truly astonishing. Regardless, going into this transition, Tesla is currently Porsche’s main competitor. They have proven there is a market for luxury electric cars and without them we don’t know if Porsche would even be taking this route. Tesla’s sales surpassed Porsche’s in the US and Porsche saw a clear hit in numbers when Tesla started to grow. They are two very different cars with two very different fan bases. Those who will die for Tesla will never swap over to Porsche. 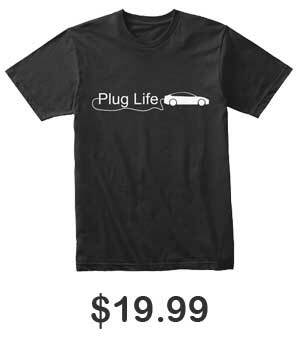 Meanwhile, Porsche might have some trouble swapping their gear-head fan base over to electric. Porsche can make the Taycan better in every way and Tesla will still surpass expectations simply based on the brand they have created. There will never be a “Tesla Killer”. The reaction from customers has been fantastic – from the moment we announced the car to now, when we have asked customers to register their interest for the first cars. The history of Porsche began with an electric car in 1898 and that provides some inspiration and motivation for us. Of course there was a big gap, but we have led with the introduction of hybrids and now we will use our heritage and learnings to offer a class-leading electric car. Porsche doesn’t just make a luxury car, they’re a luxury brand. Anything from them is expected to be high tier at a high price point. When the Mission E concept was green-lit for production the world assumed Porsche would throw an exaggerated price tag for the small niche market of luxury EV buyers. Instead they’re taking this opportunity to slowly transition their entire lineup to electric, creating a new generation of car enthusiasts and converting the old while doing so. Companies like Porsche and the Volkswagen Group as a whole are paving a way towards a sustainable future while cutting margins short term to get there. 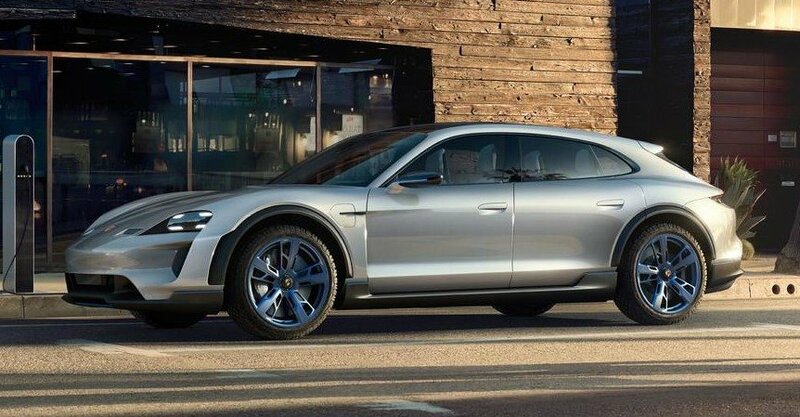 The Porsche Mission E was not a last minute thought and design, neither was the Taycan, nor the Cross Turismo, or any upcoming electric car under the Volkswagen Group. In a world full of naysayers and politics, it’s good to see Porsche taking this transition seriously. I for one am extremely optimistic of any electric car or technology to come from Porsche. Update (12/30/18): There has been a semi-official price announcement for the three trim levels of the Taycan. Now of course this is not an official announcement from the company that was widely distributed, however it is the most official information we have at this point. With three trims: base, 4S, and Turbo, the starting price ranges from $90,000 to over $130,000. Many will see that it mimics the structure of the Tesla Model S and X. There is no indication of whether the 3.5 sec 0-60 mph time and 300 mile range is for the base, 4S, or Turbo model. I always assume that these types of specifications are for the top end trim, but who knows. Also there has been some disagreement with the “Turbo” nomenclature since, well, there’s no turbo in the car. But I agree with Porsche’s decisions to carry over the naming scheme as yes, the Turbo models did have a turbocharger, but they also were denoted as the top-end car trim of that model.